The most important thing that you can do on this planet - elevate, transform and illumine your own consciousness. We welcome a new energetic month in which we all feel the renewal that is blossoming from the micro to the macro, after the emotional release experienced during March. April, is a month that acts as an inter-dimensional liaison - creating the space for us to plant the seeds that will finally flourish, in the following months, bringing harmony and unity between our Yin and Yang polarities, as we descend from our inner realms all of our inner power - and visions - into our tangible plane. At this time, many will be guided to initiate new projects and expand in the physical. However, This is a month that invites us to ponder about the actions we desire to take, before acting impulsively, bringing into form outcomes that are not aligned with the current frequency we hold now. This is a month to create inwardly, from a space of clarity, unity with our God Self, and surrender, what our soul desires to give birth, for our human journey. At a macro level, during this month, especially on April 20, we will continue to experience the stabilizing frequencies that began with the Libra Full Moon on March 20 and whose portal will continue until precisely April 19, when we have another Full Moon at 29 degrees libra. As this passage of around a month lasts, many who work with the Earth's Fabrics, especially stabilizers, and the ones who have a mission to assist in the restoration of the Earth's Fabrics of time-space, will be completely devoted to this task, for it is vital that we take advantage of these stabilizing energies, as we continue our mission of helping in the re-establishment of the universal simultaneous time-space cycles. For as you well know, the matrix deeply manipulated them, so our sense of time and space was lineal and limited. As gridworkers, or simply as we continue to evolve, for this is something that at some point we all will be experiencing, many of you will be already noticing the new sense of time that we have, in the new dimensional space we occupy now. For many of us time is no longer lineal. We feel how time passes faster, realizing how our old sense of human time is no longer serving us to navigate through our new reality. 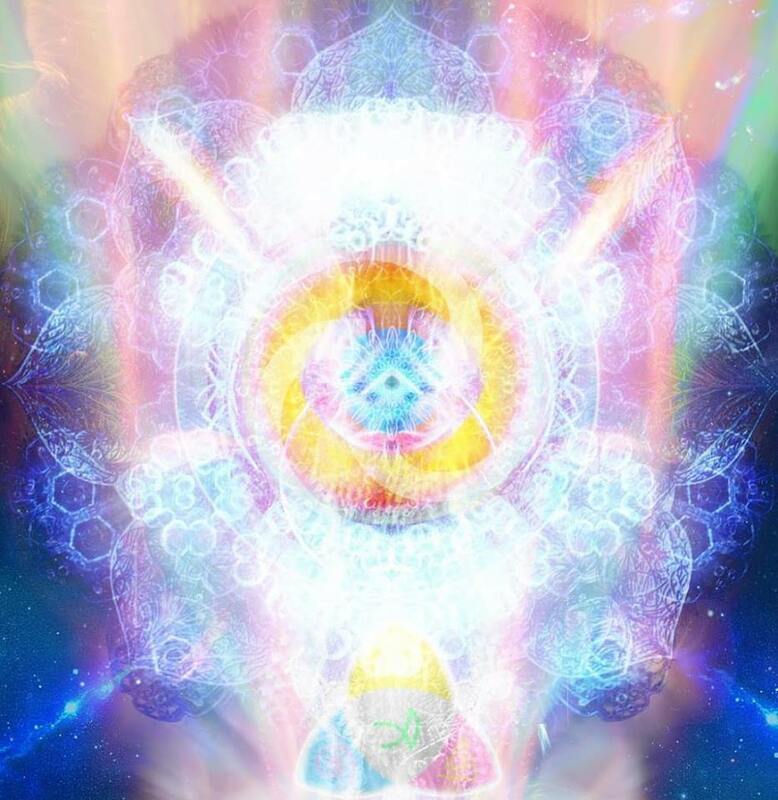 The more we ascend within this eternal spiral, the more that we will feel as if time goes faster, for our Consciousness go further than what our human bodies can go, which is one of the main reasons why it is so important to work with our bodies, so they do not suffer the impact that these new frequencies have, as we continue to embody them. As humans, it is important that we begin to commune with both our own personal cycles and nature ones, to fully understand when it is time for us to act and anchor our soul creations, and when it is time to surrender and just be. For we all are unique and we all have our own cycles to do so. Astrologically, this is a "retrograde" month as well, for the many Planets that appear to be in slow motion, from Earth. It corroborates what we are already feeling within, as it is not about the planets, as they are a macro representations of what occurs within, but about the fact that there is a time within Creation for everything and we are now heading into a time of deep communion with our soul, before engaging into a phase of conscious manifestation. Events can mark certain important energies that are being poured to us, but in truth, we are all communing as One. This is why it is so important that we take the time to discern, even though there is a great macro alignment which incites us to act, before we create actions that are not in resonance with our Soul Will. On a personal level, this is a month for us to realize our power, where we put our intention, our love, and hence, creative energy, as well as how we use it. It is very important to use it only to serve our own path and hence that of All, beginning to create the necessary steps for us to manifest only what will be aligned with our soul desires, rather than what we think is best for us. April is a month to begin stabilizing all we have anchored in the previous months of the year. This is not only done at a micro-personal level, but in a macro one, for the ones who have as a mission to work with the Earth's fabrics or grids, call it as you prefer, are going to be fully immersed in this task during April and the majority of May. The Light from the Equinox is a wondrous one to assist us in our mission of clearing and restoring the Earth's fabrics so the original ones can emerge, again. Something that is happening already in some pure spaces on Earth. If you are a stabilizer and are aware of your mission, then you will know how to act and when, for we are always guided where to be or go, to be of greater assistance. For the ones who are beginning on this journey, for as I am blessed to witness when I co-create sessions with others, this group is growing, you may begin by clearing egoic patterns, as well as your mental and emotional planes, so you can open your heart and discern from where the guidance you obtain truly comes from. In the initial stages, if we do not begin by using clearing treatments, we can fall into the trap of allowing other forces, that do not respect our free will, to confuse us, leading us to places or to do other things that are only serving their negative agendas, rather than truly assisting our Planet. There are three stages when we awake to our role as stabilizers, as well as different types of them. The first one is when we still do not possess the level of consciousness to do this mission, consciously, as we have not yet mastered the self and learnt how to maneuver in the astral, and between dimensions, for there is a lot to learn. In this stage we assist by our essence, which already comes with the specific codes to help in this mission. During this phase, we tend to stay in the same place, for it is not just about our level of consciousness and knowledge but about seeding this same balance into the place where we are destined to be, at the moment, as it needs of our assistance. It is during this stage that many, as it happened to me to, will begin to awake more and more, and with it, their feeling of moving out to another place. Something that will come when our soul considers, not when our egoic self wants to. This is why patience and devotion to All is so important, as many of us in this journey, if not all, cannot truly act according to our desires, but to the Will of our God Self. When we are ready and have worked with our physical bodies, we move into the second stage. In this stage working with our physical body, at a deeper level, is pivotal, if we desire to begin working with the Earth's fabrics. Otherwise, we will feel the huge impact that the energies that we are going to be working with, have on our bodies, making them weaker, if we do not support them. In this stage we begin to master Earth's anatomy, so later on we can begin to flow with our mission and work on our own without being constantly guided. In this phase many will begin to travel, if required, for they are meant to assist the Earth's grids. This is where we work with the different energies, beings, and forms of consciousness - understanding and feeling them, so we can discern about their nature and authentic purpose. In the third stage, stabilizers will move, or at least will have the freedom to do so, if they desire. In this stage, there are new stabilizers that will substitute us, younger ones, as it was in my case, so now we can also move into a new aspect of our mission and continue expanding within it. In this stage, we continue to stabilize by our mere essence. However, we do this more consciousness and know how to move our consciousness to the different places we are called to go and assist, so there is no need to physically move from one place to another. It is also during this stage that we begin to work with the Earth's fabrics, in a deeper way, learning how to restore them and how to operate in both the astral and in the physical with them, while we are awake. This is the most challenging stage, for it requires of our commitment, devotion and integrity, at all times. In this phase it is pivotal to begin working with our DNA and have healed all that was distorted and/or fragmented. There are a four stage for the stabilizers. However, this is a continuation of the third one. It is when we have fulfilled our mission or a certain aspect of it, and then we move into a more peacefully stage in which we are not so active in the astral, and we come back to serve as a conduit of balance. This is a stage that coincides with self-mastery and with the wisdom that also comes with human age. For the human body cannot truly content, at a certain phase, what it could, at the beginning of our task, in early stages. There is another important issue that I would like to address, even though briefly. It is the difference between bringers of harmony and stabilizers, which can be similar. However, not the same. The first ones are here to act only by the highly evolved essence they bring, they seed harmony and love wherever they go and they do not need to do anything else. By who they are is more than enough. There are some bringers of harmony who can later on develop this task of becoming stabilizers. This is something that only they will know, when and if they moment comes to embody this other aspect. The second ones, stabilizers, soon realize the difference and begin to be initiated, whether in the astral or consciously by their Unified Self and Guides, in the mission of knowing Earth's anatomy as well as receiving certain codes to use when stabilize and many other things that involves to do this task. All we do, as I always say, if done from a space of authenticity, no comparison, no delusional or magical thinking, and unconditional love to All. We do not have to compare ourselves with others. We do not have to be glamoured by ou egoic beliefs of being more, if we do certain tasks. We just have to allow the Divine to express Itself through us, in the unique way that it is meant to. The rest is egoic desire, something that it is fine, for we all are humans mastering our human self. However, this has no place, when we finally choose to be of service. For when this moment comes, we only serve God's Will, which is ours, for we are One with It. As I woke up, days before writing this post, each morning I began to heard the sound OM, which lead to OMNI, as days passes. One day I clearly was told I should begin to chant these words with my sound tools, for this is a frequency that was going to reign this month, one of unity and harmony, and that it shall be shared with All. For many of you these words may be quite usual, in my case, I have never heard before or remembered the word Omni, so I asked my Guides about the origin of this word and its meaning. Omni is a word from Latin origin whose meaning is totality. My Guides explained to me about the difference, even though Love is just One, of love that exists. To set an example, one type of love is self-love, which is the unconditional love we have for the Divine within. Omni-Love, as I received, is the love we shall feel for All - for God, for us, for others and for All things/beings/forms of consciousness, within Creation. This is the love that brings peace, unity and compassion. This is the love that we truly are and that many of us desire to reach, and this is the frequency that is always present with/within us but that this new month of April brings from the Illumined Realms, for as we continue blimbing within this eternal spiral, the more that we will be remembered of this essential Truth, that was not so present in the 3D matrix. According to the guidance I received when we chant these words, especially the sound OMNI for the word love can be chanted in our own language, we open our hearts and call upon this unity essence presents in All things and in all universes, attracting this frequency to ourselves. We can direct it to heal, to forgive, or to simply bring our human self remembrance of what dwelling in the love, light, peace and bliss of the Divine truly is. By chanting or repeating these words you are not just honoring yourself - the Divine within - but All who are also a part of God within Creation. This is about you consciously stating that you are One with All, not just with our current dimension but with all the dimensions, with all the beings that reside within them, independently of their level of consciousness. This is where we are heading. This is the essence of the Christos Consciousness, and this is what many of us devote ourselves, daily, to honor this unity and to embody it ourselves, as much as we can, to be able to commune with All. We are heading into the second phase of the year, moving from the Yin essence that starred the first months, especially during March, to the Yang one that will govern this month of April, with its Aries frequency. The wheel of life has rotated again and now we move from mastering and integrating all the wisdom received from our past challenges, with the last sign of the zodiac, to initiate ourselves again in this endless evolutionary soul journey, with Aries, who leads us into a new cycle with the strength and wisdom regained in the depths of our being. The essence of April is represented by the 16 universal number - 7 reduced. Number 16 is represented by the tarot card of the Tower, which is destructive for many, but to me, it simply means the conscious change or the necessary one that must occur, for us to dissolve an inner state of being and/or situation that is not aligned with our true soul journey, and rebirth, again. A misguided path can be destroyed by conscious desire, for we have realized that this is not the path we are meant to navigate in, or by Divine Intervention, for sometimes our God Self can cause the necessary changes required for us to return to our original path. When this occurs, the human self may tend to see it as something negative, and as if everything from the outside is causing us troubles or as if it was a curse. In truth, what we see as chaotic or as destructive, is the required frequency we need to change the direction of a "mistaken" path, for in truth all paths end by leading us to our true destination, nothing experienced is ever wrong or useless. On the opposite, number 7 - 16 reduced - is represented by the tarot card of the Chariot. This card represents the renewal, and triumph that comes when we are aligned with our God Will and when we have finally passed the challenges that may come with change and with the apparent chaos that seems to reign while this change lasts in our human experience. In the end, if we learn how to accept, embrace and navigate through change, we will end up being the warriors and powerful brave beings that we naturally are. Number seven is a mystical and master number, for it holds all the wisdom required for us to manifest in the tangible, all we desire to experience. On the contrary of what is often thought of this number, it is not a passive one, for its masculine essence means the one who wisely brings into form that which was once nurtured and properly discerned from within, from a space of love and connection to All That Is. Number seven shows us where we have been and where we are going. Have you mastered all the challenges that were kindly showing you what you needed to remember? Have you realized the illusion of separation? Have you found the mystic within? If so, you are now ready to bring all this inner magic, creations and abundance into your physical realm, where you decided to become a master of the tangible plane. At a cosmic level, we begin this month with Pluto, the Planet of Power, opposing the True Node on April 4. This is, especially when Pluto will turn "retrograde" on April 24, an energy that begins with this alignment and that will continue during all month. It is an opportunity to begin observing ourselves, how we act, the healthy boundaries we set and everything that can let us know how we are using our power. This months brings the gift for us to focus on how we direct our power. It is pivotal that we understand the difference between being empowered and being abusive, which can seem really easy, but there is a fine line that many cross, when mastering personal power. This is about using your power to be constructive, and resourceful to create a beneficial outcome for All. Do you know for real the power that lies within yourself? Do you use it to bring changes that will benefit All? Do you use it to be a wayshower of how to live an empowered human experience? Or do you still use our power to manipulate/control, whether consciously or unconsciously others? Do you use your inner power to nurture yourself and others and be of assistance in all you can? Or do you give your power away, allowing others to control, manipulate and/or enslave you? This is an opportunity for you to evaluate the use you are doing of your inner force, and hence intention, and if where you are putting it, will help All or just your own egoic desires. On March 5, we have a New Moon at 15 degrees of Aries. This catapults the energies of leadership, initiation and action that we have been feeling for a while, since the end of March. We end another micro, and macro, cycle, as for many this also signifies the new astrological year as well, and begin a new phase in which we now know more about all we have experienced. During the New Moon there is a square between Pluto and Saturn in Capricorn. This frequency from this planetary encounter is going to help us break free from what impedes us to recognize our True Essence and Path, and step into a journey of self-empowerment, love for the self, and expansion. This is where we begin to honor the unique aspect, as Aries reminds us, of who we are, not from an egoic perspective, but from a Divine one, remembering that a Spark of God lies within ourselves and we shall respect and honor its Will. However, for us to be able to begin anew, first we need to clear all that is blocking our way to regain the love for ourselves as well as for the unique mission we brought here. This is why this square, between many other planetary events at this time, will serve us to leave old habits, addictions and anything that disempowers us, and begin to reclaim our sovereignty, as LoveLight beings who came to experience an earthly realm, not from a victim perspective, but from an empowered one. On April 10th, Jupiter, the Planet of Expansion, will turn "retrograde". As many of you know, I do not focus on a limited perspective of reality. I have been for few years now releasing many fixed beliefs, especially about astrology, and to be honest, in my reality only govern my own micro cycles and Highest Will, not retrograde phases, for during these periods, all simply goes perfectly fine, as it shall be, always according to a Higher Plan. The essence of this month is one for inner retrospection, whether Planets appear to be retrograde or not, for the frequency of a month goes beyond our planetary alignments, as there are, always, many things we cannot really know or envision, behind our human perspective. However, as the collective has created the illusion of retrograde, this, of course, has an impact, for all we create has an effect. It is our personal choice to move inward, realize all is in truth an illusion, and begin to disengage from more old beliefs that only cause us fear. As always, it is all happening according to the natural cycles of Creation, rather than a fear-based belief that we have created from our human limited view of planets being retrograde and of them causing us challenges or benefits. Jupiter invites us to expand from within before we do so in our physical reality. It is important to grow, to reflect and to measure the consequences our actions will have, before bringing our visions into the physical. This is one of the first steps before manifesting in the physical, whether we see it as being retrograde or not. All is what we desire to make of it. On April 19, we have another wonderful Full Moon at 29 degrees Libra, after the one we had on March 20/21. This is the catalyst of the stabilizing energies that many of us have been working with for a while, not just for us to anchor them within, helping our bodies regain harmony and healing, but when working with the Earth's Fabrics, something that will continue intensely, until the middle of May. On April 20, the Sun will enter into the earthly sign of Taurus. The second sign of the zodiac, ruled by Venus, offers us the gift to create our Heaven on Earth, connecting with nature, honoring our physical realm and enjoying who we are and our creations. Taurus will start opening the energetic gates for us to begin grounding ourselves as well as our desires in the physical. With Taurus comes our second initiation into a deeper knowledge of how to manifest our desires from an energetic Plane into our dense world, teaching us our next lesson within the wheel of life, which is to master ourselves in the endless art of bringing things from our inner world into our human one. Taurus, is indeed a sign that likes to see the rewards of all His efforts. It invites us now to pay more attention to earthly matters, as they are the materialization of that which is within and that which sustains us in our lives, remembering that material things are also a part of our lives, for we do not separate anymore, as instead, we choose to unify All as being equal within Creation. In this same day we also have Venus entering into Aries, together with Mercury, which did the same on April 17. Both Planets in Aries, which is a sign that can fall into the trap of being egoic and only look for its desires, will be a potent force that if not wisely control can let us fall into impulsiveness, for both in Aries are fast in thinking, in falling in love and in taking decisions that may not be aligned, simply because they search for instant gratification, allowing the excitement of the moment to control them. This is an opportunity to discern and ponder before we take an important decision that later on we will not resonate with. We end the month with Saturn also turning "retrograde" too, as another confirmation of what we are already feeling in the macro - a deep sense of communion with our God Self, before we act and build something lasting, in the physical. Introspection is - always - the only path to self-illumination and regeneration, as there is no one or nothing outside ourselves that could ever shed light into our own inner illusions and shadows. By moving inward we see the Truth of our beauty as Divine beings, moving away from the human perception - we have of ourselves and others - becoming conscious beings of our own actions, which has nothing to do with being superior or more special than others, but with honoring and respecting the spark of the Divine that we All are in Essence - walking away of what disempowers us. This is why at times, we have to go inward in order to remember who we are and who we have become, as this human journey may make us forget it. April is a month that reminds us unity, and above all, that all the love, healing, blessings and power we search or expect from outer sources, is within. Dissolve what makes you denser than you are in truth. Use your inner power to stand firm in your path without judging or condemning others - simply walk your path as a conscious being would do - with integrity, responsibility for his/her own life experience and compassion for All. Realize that everything is more precious since you exist, sharing and assisting on this wonderful path with your unique and wonderful gifts. Do not fear the unknown, step into it and bring a higher awareness from all that was revealed to you while you walked in the shadows, as you no longer judge them and are now ready to embrace and integrate them, as equal. And while you are under the illusion of your human beliefs of how things should be or what you think you have lost, remember that nothing or anyone is ever lost, we are always finding each other into this never-ending LoveLight spiral in which we navigate in - as it shall be, and it Is, at Divine Time for All. I wish you a month filled with infinite love, joy and blessings, Beloved Companions! Gratitude to Sequoia Arayas, for the beautiful art.